The New Jersey Business & Industry Association opposed legislation proposed today that calls for an increase in the Corporate Business Tax as part of the FY2019 budget plan. 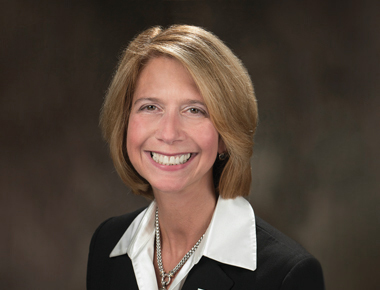 NJBIA President and CEO Michele N. Siekerka Esq. delivered the following testimonies for bill S-2746/A-4202 during today’s Senate Budget and Appropriations and Assembly Budget committee meetings. “Good afternoon. I’m here representing our member companies who provide more than 1 million jobs in the state of New Jersey. I’m here today to express our concerns with this bill and explain the reasons why we oppose it. “Over the past several years, there have been a number of positive changes that have helped to improve New Jersey’s business climate and economy – in particular, the comprehensive tax reform bill that was done in a bi-partisan manner in 2016 that we all worked so hard on. As a result of that reform, we have seen an ability to increase our competitiveness in our region and nationally with states that vie for our companies. Again, the most important part of that was it was achieved in a bi-partisan fashion. “However, as we examine the proposals that are before us today, we’re concerned about the impacts on our competitiveness and affordability in New Jersey. These proposals to raise taxes come at a time when there are cumulative impacts for other costs and mandates that have been put on business – whether they were just written into law or proposals that are coming down the pike such as paid sick leave, an increase in the minimum wage, an expansion of paid family leave, or increased energy costs. “NJBIA recently conducted an analysis of business cost factors in seven states around our region and we were dead last in the rankings when we considered all of them together. “Today, we are talking about an increase in Corporate Business Tax. Our study found we are the sixth highest in our region today for CBT. With the increases in CBT that are being proposed, we would become No. 1 in the nation at the highest level – even exceeding Iowa, which has a 12 percent corporate income rate and is actually on their way to decreasing their CBT to 9.8 percent in 2021. “In our region, we would be two percentage points higher in CBT than Pennsylvania, our No. 1 outmigration state. New York is our No. 2 outmigration state. They’re at 6.5 percent. And Massachusetts, which vies for our innovation companies, is at 8 percent. “As for other proposals that are before you today, one is the retroactive tax on dividends for tax years beginning in 2017. Our primary concern is if this is going to be retroactive, the need to re-state earnings is going to be a big problem for our corporations. We also understand this retroactive tax would be unconstitutional because there’s a lack of factor representation. You would be going on a formula for gross domestic product and that lumps them as all the same when there are different treatments for foreign dividends in their retroactivity. “These dividends represent 30 years of foreign earnings and profits and should not be taxed. In many cases, there may not be cash or fiscal assets available to cover that. “Also when we talk about dividends, we need to know if this would have an impact on employee stock option plans. No one in state government could answer that question for us this morning. I suggest we need to answer that question to make sure we’re not impacting employees when we’re considering that type of activity. “Regarding interest limitations – we also understand this is going to have a significant impact in capital investment and again have an impact on our competitiveness. A number of states have recently uncoupled from the federal limitation, including Arizona, Connecticut, Georgia, Indiana, Tennessee, Virginia and Wisconsin. Another concern is the inability to allow exemptions, tax credits, grants and net operating losses in order to cover these new taxes that are being imposed on our companies. “So what is at stake? Today, we have over 2,000 companies that will be affected by this policy. They account for $20 billion in net allocated income in the state of New Jersey. How will they respond? No. 1, some may continue the trend of outmigration. We have lost $25 billion in adjusted gross income in the state of New Jersey over the last 12 years. This is a trend that must stop. “But if these companies don’t out-migrate, they are going to stagnate. Which means they are not going to grow, which will not help our economy. “Third, these businesses are going to cease their capital spending, which in the first quarter of 2018 was the highest it has ever been nationally at 39 percent. That was the exact impact the federal tax reform was supposed to have, to see those companies re-invest by capital expenditure. Our members tell us they’re going to freeze their hands on their wallets if these tax increases are coming down the pike. “These are stories our members share with us every day. “We’re here to help grow New Jersey companies. We’re here to be job creators. Our companies are doing a good job on that. We feel we need long-term sustainable solutions rather than taxing our way out of these challenges. This is not the time for a new tax on New Jersey business. “I know there is discussion of a two-year sunset on this proposal – a time for us to step back and consider those long-term solutions. But I will tell you we will be here every day as we’ve been for the last few years calling for comprehensive tax and regulatory reform, prioritizing fixing what’s structurally broken today before we take on new spending such as public pension and health benefit costs that need to be fixed, addressing school funding and property tax reform. This bill is ridiculous! We will be moving out of NJ if this goes ahead. We and others will have NO OPTION. Progressive agenda can not be achieved by taxing the companies creating the jobs. Innovation requires R&D and attracting best talent. This will only be achieved if companies can compete on an even playing field. We should follow Massachusetts lead in implementing pro business solution to create smart innovative centers to foster economic growth, not disadvantage businesses increase taxes. Madness, more proof that the fools in the statehouse have no idea what’s really good for NJ residents. If the companies leave where will people work? What happens to the tax base at the state and local level? We can’t all become wards of the state Somehow there have to be people to out there to earn real money. Simple; if you want less of something, tax it. If you want more of something, subsidize it. We’ll end up with less (corporate and individual) income to apply the increased tax on.